Dr. Ari Molofsky graduated the medical school from the University of Michigan Medical School and completed his residency and fellowship program at the UCSF. He is specialized in pathology and board certified in clinical pathology and hematology pathology. 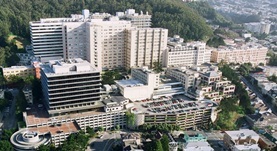 Dr. Molofsky has been in practice for more than 6 years and is affiliated with UCSF Medical Center. During his career, he has also contributed to 13 publications of medical interest. Dr. Ari B. Molofsky has contributed to 3 publications. Activated Type 2 Innate Lymphoid Cells Regulate Beige Fat Biogenesis. Lee, M.,Odegaard, J. I.,Mukundan, L.,Qiu, Y.,Molofsky, A. B.,Nussbaum, J. C.,Yun, K.,Locksley, R. M.,Chawla, A.; Cell. 2014 Dec 30. Interleukin-5 producing group 2 innate lymphoid cells (ILC2) control eosinophilia induced by interleukin-2 therapy. Van Gool, F.,Molofsky, A. B.,Morar, M. M.,Rosenzwajg, M.,Liang, H. E.,Klatzmann, D.,Locksley, R. M.,Bluestone, J. A.; Blood. 2014 Oct 18. Van Dyken, S. J.,Mohapatra, A.,Nussbaum, J. C.,Molofsky, A. B.,Thornton, E. E.,Ziegler, S. F.,McKenzie, A. N.,Krummel, M. F.,Liang, H. E.,Locksley, R. M.; Immunity. 2014 Mar 19.